These Stylish Cities Are Home to "the New French Girls"
It's been years and years since we all first aspired to dress like French girls, so it's inevitable that the day would come when the world would settle upon "the new French-girl style." Pinterest just released its Global Fashion Report for 2018, which is full of insights into what's trending around the world, based on what people are pinning. But the thing that really jumped out at us is how Pinterest users are turning to Korea and Japan more than ever for ideas on what to wear next. This year, searches for Korean street style are up 94%, and Japanese-centric searches (like Japanese embroidery, kimonos, and aprons) are up across the board. We've long found Japanese and Korean street style stars (like Irene Kim, pictured above) and bloggers to be some of the most directional of them all, which is quite the opposite of French girls. 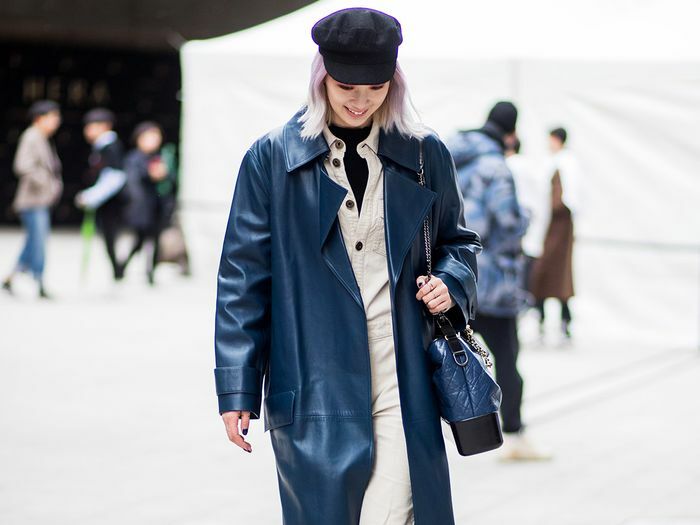 While French style is rooted in classic pieces, Japanese and Korean style is all about wearing the newest brands, setting the trends, and styling them all in the most original ways. Read on for more of what's trending around the world and to peruse the Instagrams of some of the coolest Korean and Japanese style stars around. Smock dress searches in the U.S. have increased by 102%. Searches for Birkenstocks are up dramatically (840%) in Germany. The French love wrap dresses right now (and always). Searches are up by 262%. Searches for flat sandals have increased by 645% in Japan while wide-leg pants have increased by 60%. Women in Mexico clearly love shirtdresses, as searches are up 500%. In the UK, searches for hair scarves are up 157%. South African pinners are really leaning into berets, as searches are up by 850%. Australian fashion fans are catching on to some of our favorite trends of 2018. Searches for white boots are up by 246%. #imvely #임블리 #임블리메이드 _ 귀여운 선인장자수가 새겨진 선인장원피스 기다리신 블리님들 업뎃완료 입니다????❤️???????????? Deal of the season @missoni ???? See what we mean by directional?